Book fills a needed gap: There is nothing quite like this book on the market or anything like it that has been published in the last few years. There are many books about inspiring women, but they skew slightly older (11-13) or are for younger audiences (2-5). First youth book ever by City Lights—hiring a children's specialty publicist to work on book and promote through galleys. Co-promotion with #WeNeedDiverseBooks. While there is no shortage of ABC-related books for children, there are very few that concern politics, women/feminism, and/or history. There's also a well-documented dearth of diverse representation of race and culture in children’s literature; according to a recent study, only 93 of the 3,200 children’s books published in 2013 featured primary characters of color. 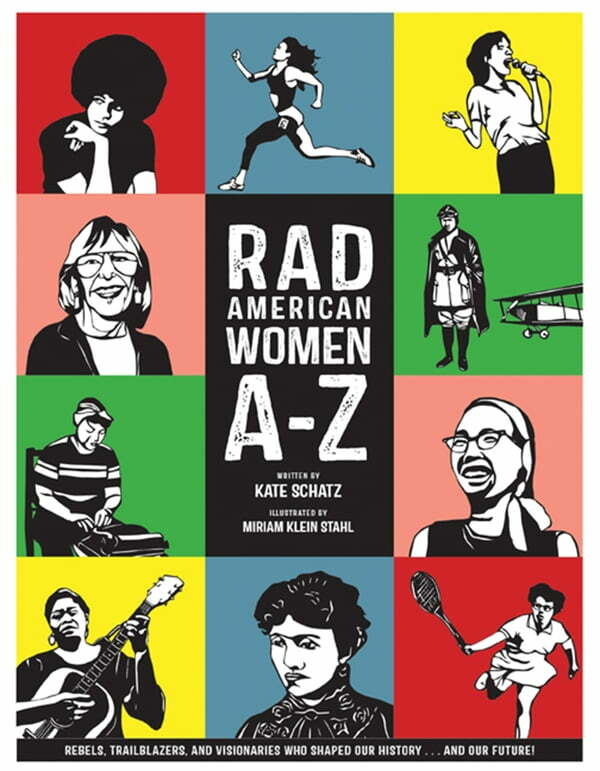 Over half of the women profiled in Rad American Women A-Z are women of color, and a very intentional effort has been made to ensure a broad representation of race, sexuality, and culture. Graphic imagery is stunning. Miriam Klein Stahl's papercuts are visually comparable to NY Times best-selling author Nikki McClure—bold, modern, clean, and definitely intended to appeal to adults as much as children. Both authors are teachers. Publishing for early release in March, Women's History Month.